Our Troop is chartered by the St. Paul's United Methodist Church in Brick, New Jersey . We meet every Thursday evening from 7:00 - 9:00 PM, in the gym at St. Paul's United Methodist Church, 714 Herberstville Road, Brick, NJ 08724 . We are an active and dynamic Scout-run/led Troop, where the Scoutmasters provide EDGE (Explain, Demonstrate, Guide, Enable) while providing continuous guidance and oversight while the Scouts learn leadership skills by taking responsibility for the day-to-day leadership and running of the Troop. However, more than the learning you will receive by being a part of the Boy Scouts of America, it is just plain old FUN to do Scouting! 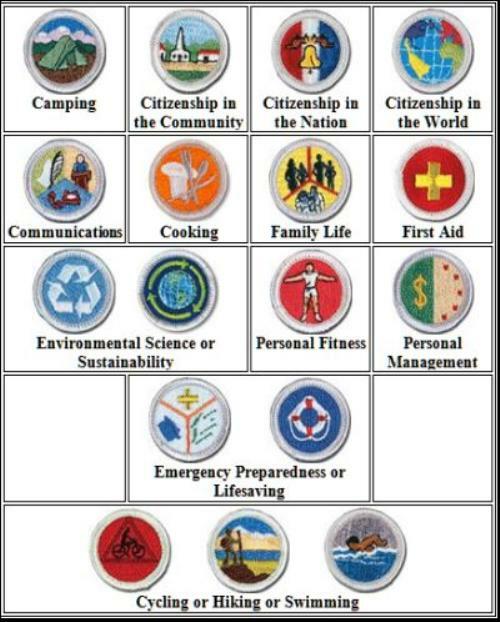 The program of Scouting, entails a bit of work on your part...you will need to learn some basic life skills like: tying knots and lashings, cooking and camping, and basic first aid skills are among some of the skills you will need to master. With all of your hard work and dedication you will be rewarded with: Character Development, Advancement, Leadership, Citizenship, Pride of being a part of something greater than self, Self Reliance and Discipline. How do I become a Boy Scout and a part of the Troop 33 Scouting Family? The answer is quite simple: you must meet certain qualifications prior to becoming a Boy Scout... Be 11 years old, or, have completed the fifth grade. That's it! Simple things can lead you to a vast array of life experiences and leadership that you wouldn't necessarily acheive in other organizations. Drop in anytime during one of our Troop meetings so you can see first hand what Troop 33 and Scouting is really all about! If you would like more information about us, please contact the Scoutmaster or Committee Chair via email. Parent involvement is highly encouraged and welcomed!